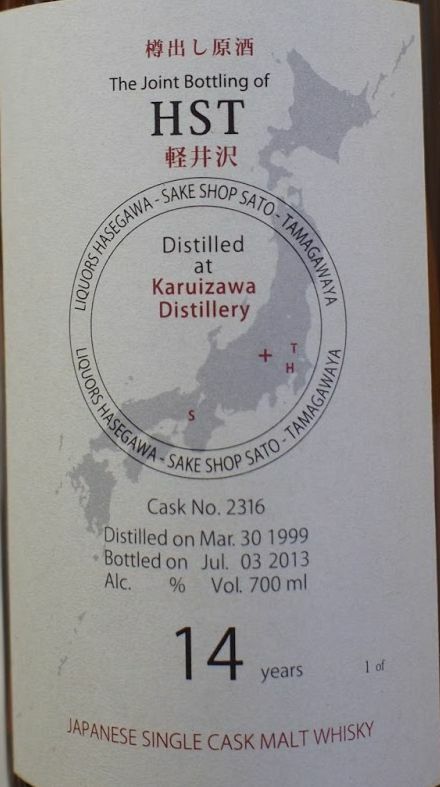 This Karuizawa is a joint bottling between Liquors Hasegawa, Sake Shop Sato and Whisky Shop Tamagawaya. Bottled at 61.3% vol. Comments: A suprisingly mild Karuizawa with the the typical heavy sherry influence. Very fruity, love it.